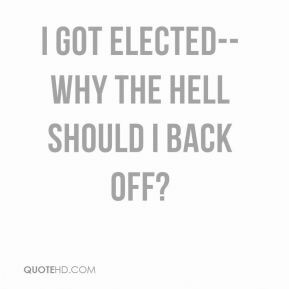 I got elected--why the hell should I back off? This is turning into a crusade. 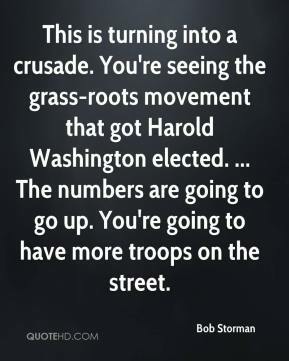 You're seeing the grass-roots movement that got Harold Washington elected. ... The numbers are going to go up. You're going to have more troops on the street. 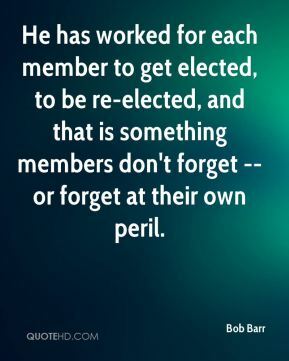 He has worked for each member to get elected, to be re-elected, and that is something members don't forget -- or forget at their own peril. 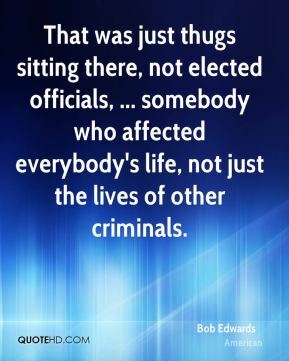 That was just thugs sitting there, not elected officials, ... somebody who affected everybody's life, not just the lives of other criminals. 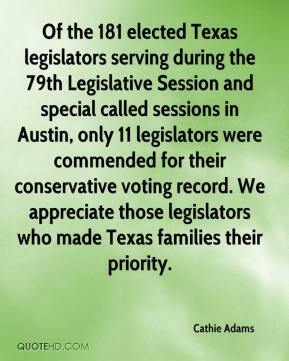 These elected officials stood up for the public's right to know what money is being spent on their state legislators. 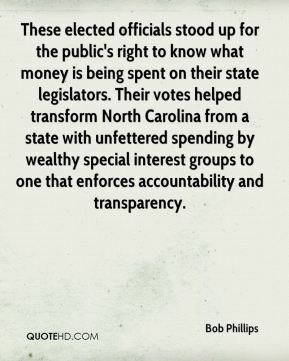 Their votes helped transform North Carolina from a state with unfettered spending by wealthy special interest groups to one that enforces accountability and transparency. 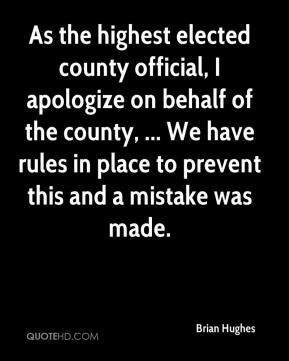 As the highest elected county official, I apologize on behalf of the county, ... We have rules in place to prevent this and a mistake was made. 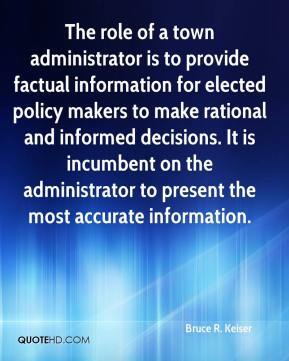 The role of a town administrator is to provide factual information for elected policy makers to make rational and informed decisions. It is incumbent on the administrator to present the most accurate information. 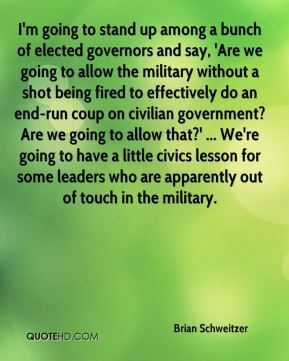 I'm going to stand up among a bunch of elected governors and say, 'Are we going to allow the military without a shot being fired to effectively do an end-run coup on civilian government? Are we going to allow that?' ... We're going to have a little civics lesson for some leaders who are apparently out of touch in the military. 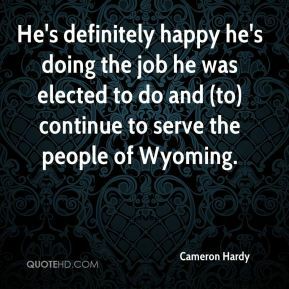 He's definitely happy he's doing the job he was elected to do and (to) continue to serve the people of Wyoming. 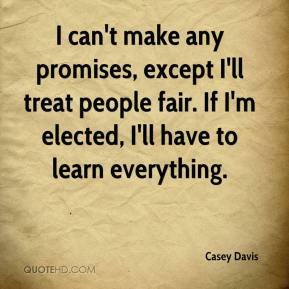 I can't make any promises, except I'll treat people fair. If I'm elected, I'll have to learn everything. 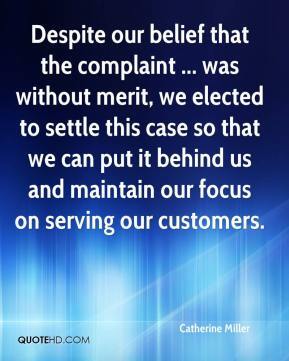 Despite our belief that the complaint ... was without merit, we elected to settle this case so that we can put it behind us and maintain our focus on serving our customers. 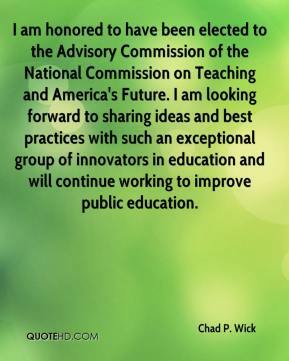 I am honored to have been elected to the Advisory Commission of the National Commission on Teaching and America's Future. I am looking forward to sharing ideas and best practices with such an exceptional group of innovators in education and will continue working to improve public education. 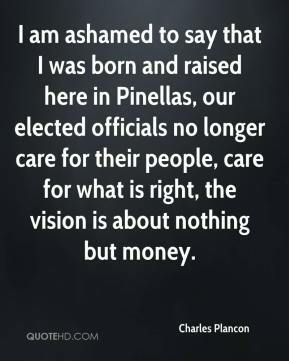 I am ashamed to say that I was born and raised here in Pinellas, our elected officials no longer care for their people, care for what is right, the vision is about nothing but money. I never elected a legal relationship with her. 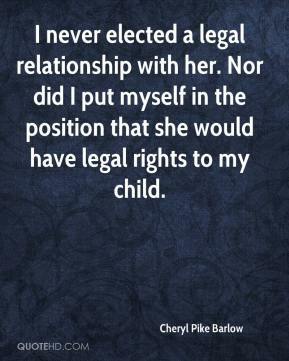 Nor did I put myself in the position that she would have legal rights to my child.